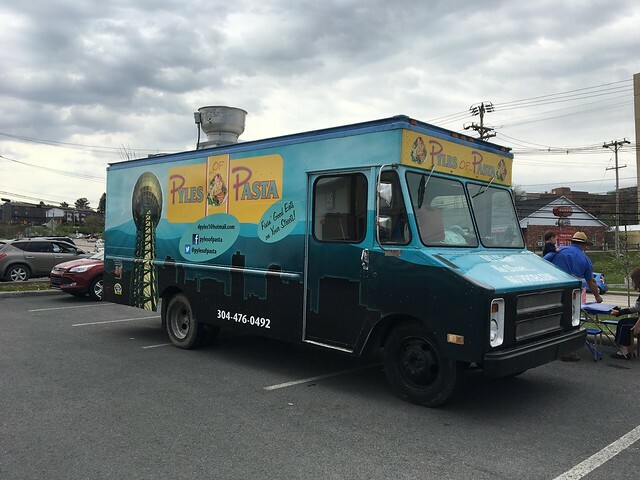 While large cities have boasted numerous food trucks - ones with grilled cheeses, banh mi, or artisan ice cream - for quite some time, Morgantown is just making headway into the food truck scene. Of course, local government in Morgantown isn't making it easy for them. 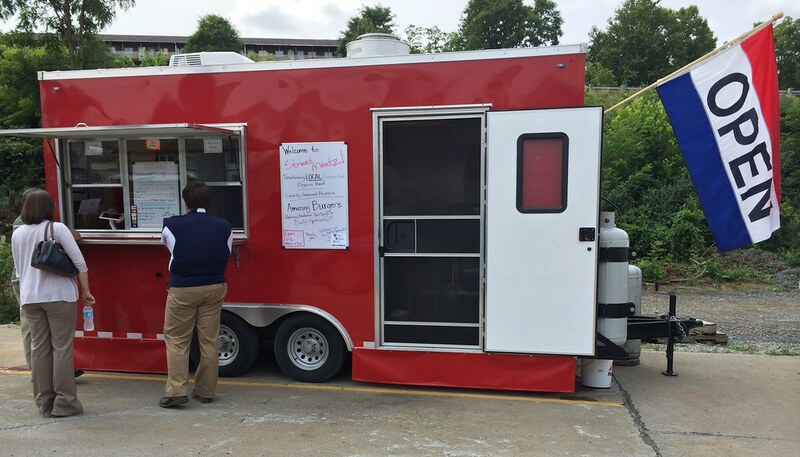 But, now, Morgantown has small fleet of food trucks serving up everything from artisan jalapeno macaroni and cheese to a walking taco. Hash Browns and New Grounds is the only true food truck in Morgantown. Cody Thrasher can be found Wednesday afternoons at the WVU Hospital Farmers Market (11 a.m. to 2 p.m.) and Wednesday evenings (10 p.m. to 1 a.m.) at Brew Pub. He's also at the Bridgeport Farmers Market (10 a.m. to 2 p.m.) on Sundays. In the middle, he's usually doing catering events or other festivals that pop up. His menu is ever-evolving, incorporating local, seasonal foods in super creative dishes. He's known for some of his signature items like the H20 Melon Salad - cubed watermelon, feta, mint, balsamic reduction, mint oil and salt. And the jalapeno gnocchi is one of my all-time favorites: jalapeno gnocchi mac & cheese with grilled pepperoni, a panko topping and drizzle of Sriracha. If you see this on his menu while he's out, stop what you're doing and comment here so I can go get some. And then get some for yourself! Street Meatz is a food truck, but they stay stationary in Ace Hardware's parking lot. Featuring local, grass-fed organic beef, Street Meatz specializes in their burgers, which change each week. Street Meatz is open 11 a.m. to 6 p.m. Monday through Friday. The menu changes weekly, but some favorites include fish tacos on Tuesdays, s'mores bites, fried green tomatoes and beef burritos. 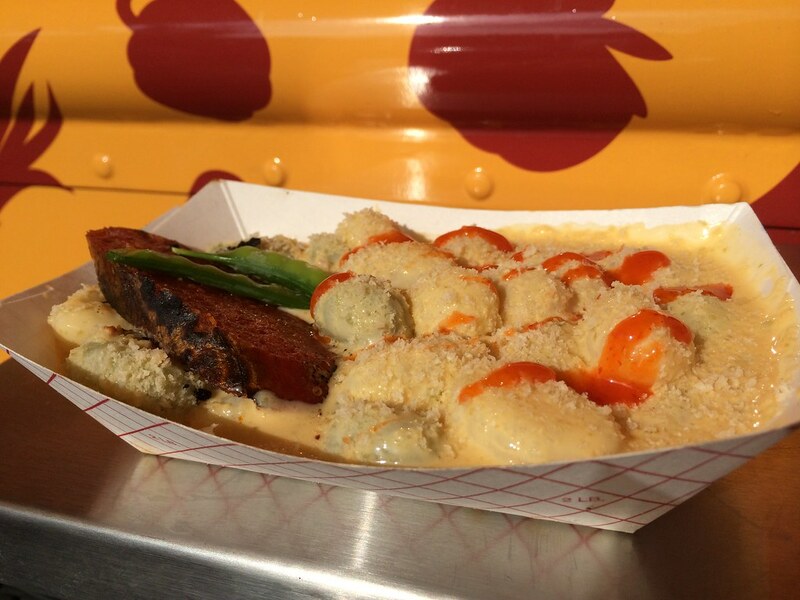 Woodburn Shanks originally started out as just aiming to be a food truck. They evolved into a physical location at the Mountaineer Mall, and the food truck portion isn't out and about often. 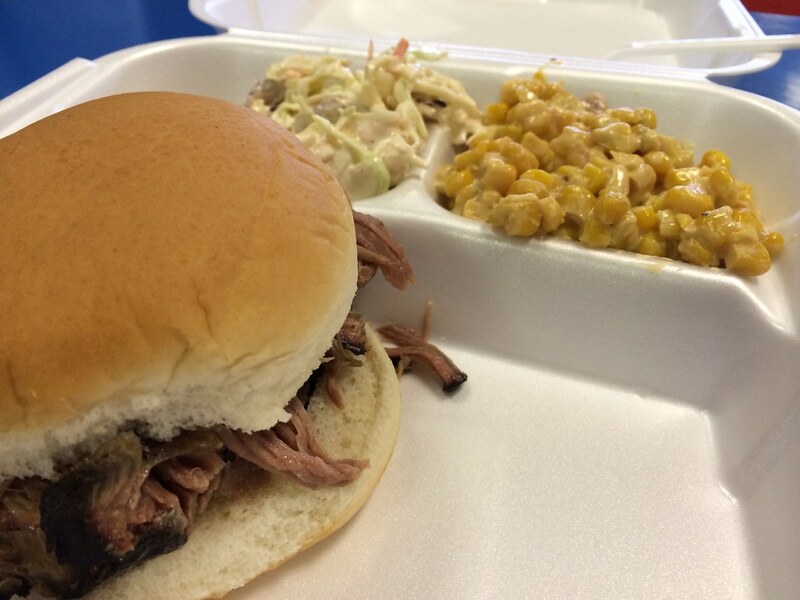 Woodburn Shanks is open Monday through Friday 11 a.m. to 7 p.m. selling some of the town's tastiest pit-style bbq. 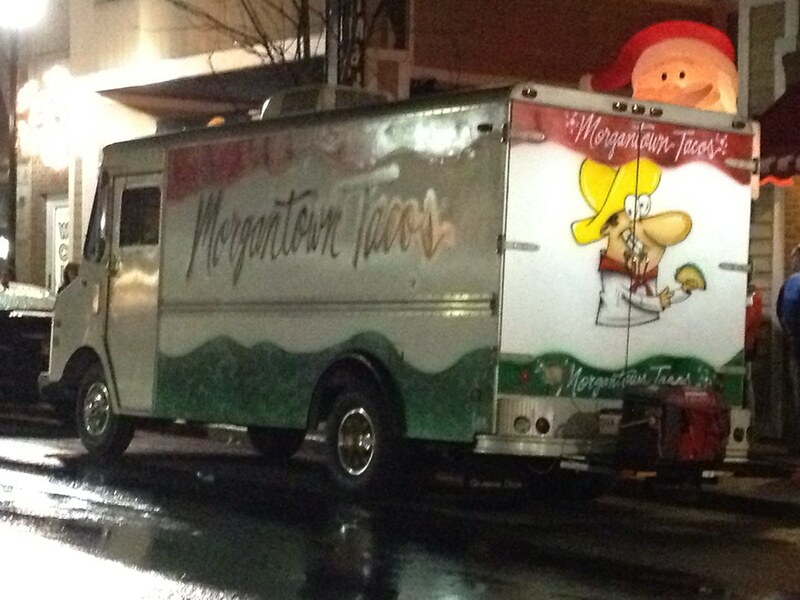 Morgantown Tacos should probably be credited with the first-ever food truck, though it doesn't seem to be in commission often any longer. It previously used to hang out on High Street late at night serving up tacos and other late-night munchies. The latest news from the taco truck has been their Twitter feed noting they are trying to find a new kitchen for commissary. 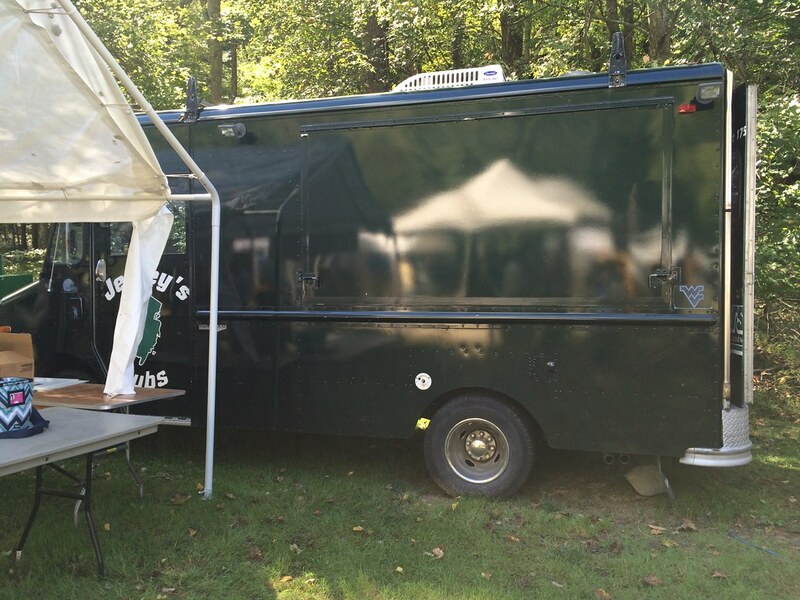 Jerseys Subs has a physical location as well as their food truck, though the food truck only really comes out at festivals. They have frequented the Wine & Jazz Festival in Morgantown and other similar events. 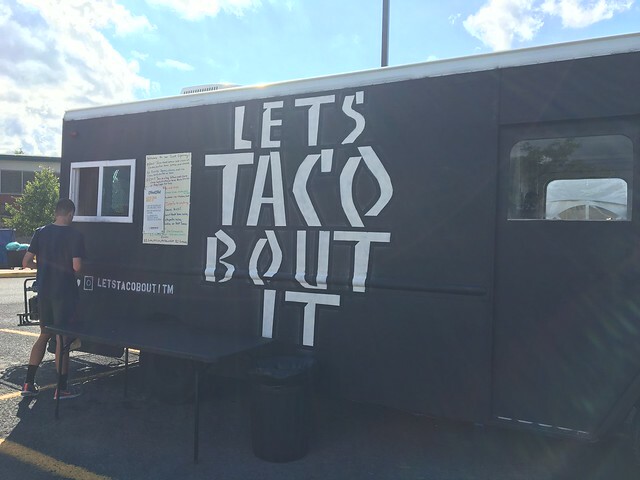 Let's Taco Bout It is a newcomer to the food truck scene. Featuring basic types of tacos, the truck is often seen at festivals or other events. 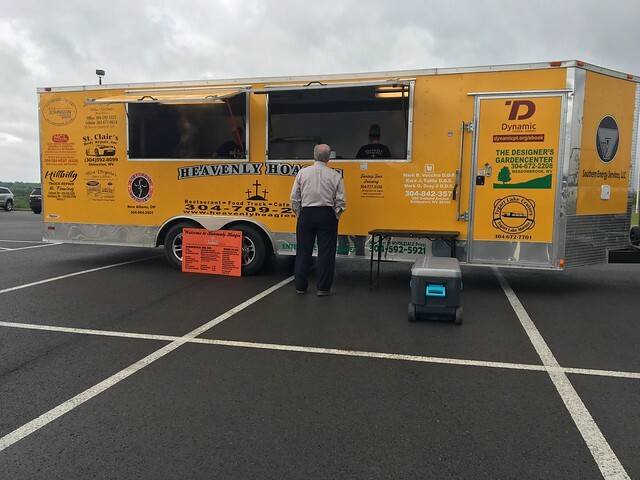 Martin's Bar-B-Que has their physical location at Suncrest Towne Centre, though they have portable smoker available for catering. I've seen it on display at their restaurant but not out in the wild yet. Hot dog guys - these guys aren't food trucks. They're more like food carts. But they're closest to the real OGs. Pyles of Pasta is carb heaven with a handful of pasta options, as well as sandwiches, salads and appetizers! Heavenly Hoagies makes the trip up to Morgantown every so often and has a hoagie no matter what mood you're in. Am I missing anyone? Let me know!